With the use of feed based layout and actions, user can perform multiple updates at one goal. For example, if user wants to perform following updates in a single update button click event instead of multiple clicks. Setup --> Cases --> Buttons, Links and Actions. 3. 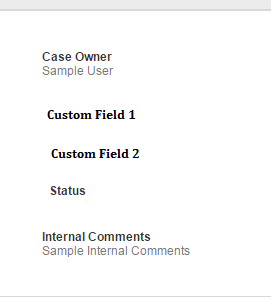 Create Feedback page layout and in the Quick Actions section, add this "Update Case" action. 4. Assign the page layout to respective profiles. Choose desired fields for feed tracking. You can select maximum 20 fields for tracking. 7. Select "Update Case" tab (refer 1st screen) and enter attribute values and click on Update. 8. System will update all the field values in one single update. 9. You will see the updates in Feed (like below) as well as Case Details Page.